Do you work for Azure Virtual Machines? Learning about Azure Virtual Machines? We can help. "Azure Virtual Machines for Scalability and Customization"
Virtual machines on Azure cloud gives are a lot easier to deploy with step by step process to follow. It gives you custom sizes to choose from which helps save time. The Hybrid license feature save about 40% of the cost of the Virtual Machine much used in our environment. Machines can be scheduled to turn off per requirement.which is highly cost effective. No issues with the Virtual Machine deployment and IAAS services.The product is going good. The Virtual Machines are highly stable and offers premium storage features with 99.9% SLA. Being backed by Microsoft string expertise, it is easy to make the decision. We are moving our existing VM from Hyper V to Azure cloud in order to save cost of management and Infrastructure. All new deployments are taking place at Azure Cloud and are kept in the resource groups having scheduled turn off cycles. "Azure Virtual Machines, flexibility for your Virtual Operation"
Its ability to upscale the Virtual Machines based on the needs of your applications. Need more CPU power and need it quickly without having to migrate information from one Virtual Machine to another or do complicated tasks? then this is what you need. We went quickly from a server with 4 cores, then needed to upgrade to 8, then 16 Cores for our applications as it is a very CPU intensive application and we need to make it work fast for the 200 users we have using it on one server (we have more than one), and all it needed was a quick restart. While packages are flexible, they are based on CPU Cores and don't let you select the RAM. For instance, we upgraded to 16 CPU Cores, but the amount of RAM available on the servers over exceeds our needs, which could be a hit to the pricing. Having a way to balance CPUs and RAM better will be welcome in the future, but is surely not a game stopper today. Using Azure Virtual Machines has been an easy to deply experience. Just be careful that if you use a VPN Tunnel to connect it to your Data Center (if you need to comply with PCI Standards) your Hardware Equipment will be fully compatible with Azure and make sure your patching cycles are up to date and fully tested. As much as possible, invest on an additional Virtual Machine you can use as Lab to test patches, as some patches could make your servers incompatible with your current User End Stations, which may require a compatible patch to be installed. All in all, a good experience with Azure. We run Aspect Worforce Management for a large Global Operation, requiring us to centralize the application and deploy it via Remote Desktop connection and as our business and core user base grows, we need our servers to follow the pace of our growth. If we were an On-Prem based operation like we used to be, upgrading our servers was hard, now it's a breeze. Just make sure the governance of the virtual machines and upgrading it won't be trapped in a network of approvals, make sure the business is made aware quickly when the need arise to upgrade the servers. "Work in cloud like on-premise"
Azure Virtual Machines provides the way to work in cloud right like are used to do it on-premise. VMs are connected to virtual networks and storage accounts, that means you can extend your existing network to cloud using IPSec tunnel and just integrate you data center with Azure. It is very useful when you already have a set of applications thatyou want to move to Azure without actually rebuilding these. VMs are available in different sizes and based on HDD and SSD drives, so you can select needed performance without spending additional costs. VMs could be created in availability and scale sets so you can have stable and scalable environments when it is needed without manually deploying additiional copies in case of load growth. You can automate scaling based on metrics collected from these VMs so you application will get additional instances when some heavy events are going on, and remove these when load falls, to save your costs. You can select any OS you need, everybody used to think that Azure is mostly Windows oriented, but you can even find plenty of Oracle Linux images on marketplace, you also can get get VMs with pre-installed software or migrate your own from on-premises with several possible ways. "Good solution to start moving to Azure"
Azure Virtual Machines could be the perfect solution, if you desired to start moving your services from outdated hardware to cloud. These machines are running almost just like your regular VMs in data center and moving your applications and databases there will not require rewriting the code to start. So you can just start your applications as it is, and only after this plan any code changes to move to PaaS level. All VMs are running in virtual networks and can access storage accounts. Your staff will not have to do much efforts to get familiar with new environment and will be able to support applications like it was in on-premise data center. Marketplace allows you to pick all almost all needed images to deploy, it has Windows, Linux machines, machines with installed software. License for everithing installed before deployment is always included in cost of machine. If you will not find suitable image, you can capture image from your existing on-premise virtual machine and deploy it to Azure. Start migrating to Azure with VMs, and then redesign your apps to adopt modern PaaS solutions. "Great solution to move legacy software to Azure"
Azure Virtual Machines are a part of IaaS solution, which allows you to work with your workloads like you are doing it in your on-premise datacenter. So you can work as you are used to. VMs has a great choise of pricing levels that allows you to set up anything from a simple Linux VM for smtp server up to powerful server that can handle 3D rendering workload or host a nested hypervisor, if you are using Windows 2016 as an OS. Multiple images available from marketplace, different operating systems, you can find a great set of Linux and Windows machines, machines with pre-installed software, for example SQL Server or even Oracle database. You can combine your VMs in scale and availability sets for automatic scaling and failover purposes respectively. You can also perform vertical scaling of single VMs by switching it another pricing level. Vms can be backed up with built in Azure services and have desired redundancy by replicating these to additional zones and regions. VMs are charged on per-minute basis, so you can turn off the machines that are not being used and pay only for storage for these. You can even create automation to schedule shut down and turn on of your VMs. Only Hyper-V VMs are currently available, hope Microsoft will implement at least VMWare in future. Running legacy software in Azure and software that could not be run using PaaS. "Azure Virtual Machines build infrastructure never been so easy. " Multiple ways to set up virtual machine from gui to command line and of course you can use json templates even to deploy whole infrastructure, you can find and download ready templates from github. Opportunity to install many VMs in one time. Multiple versions of operation systems available. You can deploy it with already installed software from images provided in gallery. You pay only for resources you use, you don't need to support your own hardware. You can use high availability solutions for them to keep your business going on without any interruptions. You don't need to setup required OS updates, all that can be automatized. In any moment size of VM can be changed. Need to reboot VM for applying some changes or settings, for example there is no hot adding or removing NICs need to stop VM before doing it. Some times it is not possible to perform VM resize from some VM sizes. If you still keep your hardware, support it and upgrade it yourself it is time to go to the cloud and use Azure VMs to safe your money and keep your business going on without any interruptions. We're using cloud IaaS solution by having infrastructure in the cloud. We pay only for resource We use, if us don't need VM in current moment We can turn it off. "The bread and butter of my Team." The virtual machines from Azure has multiple ways of spinning one up, Portal, PowerShell, Json Templates and other SDKs. The virtual machines are easy to spin up, and they are usually quite easy to use and setup with the NSG, data disks and all the other things Microsoft tries to cram down people's list. When the VM RDP/SSH connection fails, it's really hard for the users to get it fix by themselves. Yes, there is redeploy, reset password, run commands and serial console but it doesn't help us to get it fix for the customer. Azure VMs are a quick way to create VMs in multiple ways, however I would like to see other functions from the backend be implemented for the users. More ways for the users to see why they can't RDP/SSH into their machine. We solve people's problems with Azure VMs, it helps them create multiple VM to use with different users and different images. Benefits I realized, is that it helps people streamline their machines to be more powerful then the machine on-premises. "High performance VM. Good monitoring and Integrations." 1. Ease of spinning a VM and Based plans makes on the go deployment easy. 2. Multiple pricing plans with high speed clusters. 3. Adding spaces and backups are easy way to go around. 4. Microsoft services like SSO are easily enabled for access. Linux support. I feel custom linux flavours are missing. Adding multiple version support and Private registry backup would make it one place for all VMs. Pricing is bit high as compared to Competitors which might be point of decision for many developers. Setting up own server might be difficult. using Nginx over it could be a good option. 1. Inhouse network is fully utilized because using Network subnets are very easy and quite interesting to setup anytime. 2. SSO solved half of login/session issues. 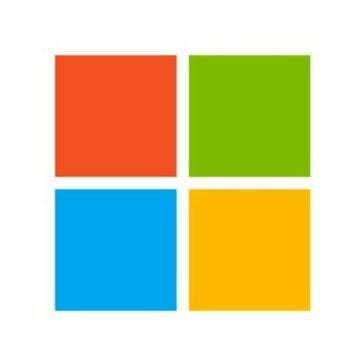 "Excellent service, donated to Nonprofit"
Using Azure Virtual Machines thanks to Microsoft's donation to NonProfit associations, this is a huge advantage for those associations that maybe can not afford some exclusive services offered by Azure. I feel very well and I could not do without it. I can create unlimited virtual machines, obviously always controlling costs, and managing them in one screen. Many operating systems are available and also the number of usable functions is noteworthy! Having all the functions condensed in a single platform the service is occasionally chaotic and not very clear its use, you must therefore contact the assistance for help or search online and in most cases always find the solution. I found some difficulties in activating the product, it is not very simple and without the support of an expert it could be impossible. Support is also available in Italian even if complicated to contact. I recommend azure to all those who need Virtual Machines on the cloud to work better and without having to run into hardware failures. Azure Virtual Machines, allows my association to no longer use the servers but to perform all operations on the cloud, thanks to the simple internet connection. "It would be perfect if I just had a console." I love just about everything about Azure VM's. I couldn't say that a few years ago when the GUI lacked several key options (2nd network adapter option anyone?) that were only available via Powershell. I do love that I can use Powershell to deploy a VM, but sometimes you just want to go through the GUI for a quick build. I like how quickly I can deploy a virtual machine and I like how easy it is to set up the networking and NSG of my VM. Backups are a breeze and it's trivial to setup hardware monitoring and alerting. I dislike that I don't have a console. I don't like the screenshot gimmick, and I really wish Microsoft would figure out how to make a console happen. I also don't like how long some tasks take. Often I'll kick off a VM related job, and the little spinny thing at the top of the screen spins for 10+ minutes before finally completing the task. I wish we had a better status option (percentage maybe? time remaining?) than wha twe have now. This is by far the easiest and most versatile cloud solution out there for anyone looking at migrating workloads to a public cloud provider. Set up of networks is a snap, and the pieces work together in a way that makes sense. I administer both AWS and Azure clouds, and I would rather use Azure for all workloads if I had the decision making authority to make the decision. We have all sorts of various business processes and services within Azure. We host a SQL replica, some domain controllers, and lots of file storage. We actually use a third party utility (Skykick) to backup our Office 365 tenant to an Azure storage account. How cool is that?! "Great place to start on your cloud journey"
Microsoft have gone out of their way to simplify the process of creating and managing cloud assets in Azure. They do not push you down one particular way of doing things either; they let you do it your way. If you want to create or manage resources through the portal, the .NET API, PowerShell, REST, etc. it is up to you. The blades in the Azure portal are a novel idea but they do get cumbersome at times. They are also a little buggy. If I want to delete a resource, I right click on it in the list, and a new blade pops up with the resource's properties. I need to scroll back to the previous blade and right click it again for the context menu to actually display. Very annoying. Try doing some online training course - it will take you a long way to mastering it. I used Azure to successfully move a processor-intensive desktop application to cloud VMs, allowing me to offload the work to the cloud. The Azure Batch API allows me to easily create a pool of cloud computing nodes, upload data and binaries, execute workflows and download the outputs. "Azure virtual machines - an extremely reliable and secure option in the cloud market"
Creating a virtual machine is very easy , it is more of a do-it-yourself process. A lot of readily available VM options to choose from depending on the needs and purpose of the VM to be created. Clarity on the pay as you go model. there is nothing to dislike. Microsoft is doing its best in the cloud industry. Moving to Azure is the right choice. Be it IaaS, PaaS or Saas model, Azure provides a lot of customization, high availability while being extremely secure. We are migrating our VMs from Hyper-V to Azure in order to save in house Infrastructure cost and time. Microsoft Azure in particular is a platform to offer a server in the cloud, with the ability to support different data to place a web page, data for backup copies and even to store documents. It has some very good features, such as stability within the server, with no possibility of any interruption, and also, a perfect interface, very nice and organized to perform the task. I would like this platform to improve prices, since it is unscrupulous that monthly prices greater than $ 500 are offered just for one server storage, I would like more accessible prices for all users, prices that are really worthwhile. It really increases the security inside the servers, providing high quality servers and providing them. Azure offers an impressive security when it comes to a server, and the speed with which it is possible to upload the files to the server cloud, is impressive, I hope to continue with that speed since it has been the main factor that has emerged. Azure has a wide range of VM images and an easy to navigate user interface. Besides the marketplace has a wide range of solutions and VM images that can be easily deployed. VM pricing is a little steep for the specifications and data storage / use. Besides, it would be helpful to include the per hour cost which was previously displayed. It doesn't seem to be shown in the "sizing" menu. Understand the overall cost before committing to the product. It is easy to be drawn by the ease of resizing the VMs and infrastructure but fees could skyrocket. It has provide a platform for me to do my research and development work without having to invest in additional hardware. Besides, the I am able to customize the hardware based on my needs, which may change every now and then. "Simple and secure solution for backing up." It is very easy to use and allows you to save the information in another site for a better backup, it is what I like the most because if there is a failure, the information is completely compatible. It can be accessed with any device you decide to use, including your cell phone. It allows me to give different levels of access to my co-workers to know who is doing and look at what, the infrastructure as a service allows you to free up time and resources up to that point destined to maintain your own infrastructure, to direct them to tasks of greater value for your business, among others. What I like least about the product is that tech support could have been a little better with billing and account transfers. Was a little difficult transferring the services from one work account to another. The incremental backups are great and the system was easy enough to implement. recommended. Having all of the servers in one spot in a very Microsoft friendly ecosystem has been fairly nice. There is nothing they don't offer yet that we have felt like we needed. "Highly efficient and secure environment. for moving your On-premise to cloud"
c. Cost savings while choosing the Hybrid License Options. However, It is advisable to try and test the complete Azure presence and then make the move. We have also started to move our database to SQL Cloud. All backups are being performed from the Azure recovery services vault. "Constantly Evolving Platform/ Unpredictable Cost"
Without Question it's probably one of the most flexible platforms available today. I can begin with cost... As a developer who mostly develops on the Microsoft stack it's not easy for me to be critical as I love Visual Studio and SQL Server... but one thing that Microsoft has kept in play is complicated licensing pricing. It is so complicated that you can ask two different Microsoft Certified licensing professionals the same question and receive two different answers. Unfortunately Azure has picked up this HORRIBLE practice and made figuring out how much you actually are going to need to pay anyone's guess. Several times I've had to tell clients flat out that they would have to get the service for a couple months to get an idea of how much it costs... Who want's to do that? Horrible! I am always for advancement... but another thing I highly dislike about Azure is the platform changes way too much way too fast! I've spent a lot of time and effort learning the platform only to have to relearn features again weeks later! I feel bad for the professionals who take the time to do online videos on the Azure platform because each and every video I've ever seen that covers a feature of Azure is quickly outdated... I've literally watched videos or followed online tutorials that are only a couple months old and couldn't follow along because the platform changed how it was done! I know my review may have seemed like a negative one, but it's really not. The fact is that I am not a Network Administrator/ IT guy... I am a developer. Maybe for a network/ IT professional Azure may make more sense and not be such a steep learning curve. For me I found the 1 and 1 platform very simple... but I am sure it is not as robust as Azure... but it accomplishes everything I need to do and is much cheaper when it comes to hosting Virtual Machines. The pricing on 1 and 1 is very straight forward, best of all the support team is not out sourced so communication is better. However for enterprise level deployments Azure would be the platform of choice I am sure. I've had several clients host virtual domains and virtual machines in production work... but because of the cost and the complexity of the ever changing platform I have since migrated all of my customers to 1 and 1. Fast and good deployment of virtual machines. Very rapidly growth of new services, that can deploy to my infrastructure in one-two clicks. Also I can easy duplicate infrastractures and change some settings for testing or backups. Also clearly to understand to what I spend money using automatic generate xls-spreadsheet. Also some times ago new administrate interface appears with many new features of easy Azure cloud administrate. There are some calculators of spending resources, and I can predict spending money in the future. There is nearly static ip-address for resolving name of machine, it was very useful in my projects. Sometimes it is not easy to understand, where tunings. For example, how change cores of virtual machine. Or how to change root or admin password. Some actions only can be done with console (putty or windows console). Also if I want to deep analysis my spendings, then I must do my own filters in the Excel, there are no default filters or smart deep views of spending money. Firstly test all opportunites of services, and get experience in "what I can do now and what tunings works well". And then use XLS spreadsheet to calculate spending of money of your services. It can be downloaded directly from Azure. Then do intelligent decisions - what useful for that amount of money. Testing several sites and services. Use cloud database and cloud file datastores for accessing files from any location. For example, we tune VPN tunnels in the fast linux infrastracture. "Easily scalable- You can adjust your resources as your customers grow. " It really performs outstanding for Microsoft suite of applications and can be tailored to meet the business requirements. Azure should also focus on providing capabilities for developers that focus on the development of native applications in the cloud that will not only run seamlessly in the cloud, but will stand out in each space and be efficient, resilient and scalable in the cloud. It is highly secure and even regulated by the federal government. It is very suitable to help customers in the entire life cycle of the application using their iaaS offerings. Azure gives us the ability to create hybrid environments that allow us to take advantage of local resources and the benefits of the cloud. Azure can also help in the construction of hybrid applications. "Efficiency in the team and dynamism"
1. Vulnerability of the privacy of our data, access with security managers and https protocols reduce the danger. Integrated services in the cloud to increase speed and reduce costs. Through analysis, process, databases, mobile, for medium and large companies. The investment in physical machines and the maintenance they entail have been simplified. The configuration process has been streamlined and has allowed us to adapt our systems to our needs with complete flexibility. I can also monitor the performance and predict if it is necessary to scale or not our machines. The best features of Azure VMs are: Quick deployment and the ability to make quick changes on the fly. There are also good features surrounding backup, although it is currently quite rudimentary. I dislike the fact that to make some storage changes, VMs need to be powered down. Availability Groups and some other features have to be considered right from the planning stage and cannot be added later on. We are able to quickly deploy dev and test machines as well as replicate our on prem machines to the cloud for DR using Zerto. "Azure works like a charm with Office 365"
The main features of Azure are full integration with Microsoft products. When you have the need to create a workload in the cloud to integrate with Microsoft technologies it is really intuitive and transparent manner. In our case we implement Azure along with Office 365 in a hybrid environment. Our Active Directory server is hosted in our data center and through AD FS Azure is replicated for the complete management of SSO in the cloud with our external users. Azure itself is a secure and robust platform that can scale internal infrastructure to the cloud gradually and easily. Among the things I do not like much of Azure is the web interface of the platform. The idea of having windows that scroll left and new will show on the right is somewhat confusing, it does not allow an order of what is being done. Also it improves the way networks are managed, would make it more simple. I recommend Azure for testing workloads in the cloud that want high budgets. This type of platform can save a lot of money in-house implementations. It also has highly optimized services and fully integrated with the Microsoft platform with the advantages that implies. As I said, the implementation of Azure along with Office 365 in a hybrid environment was an idel solution. It also allows us to transport the cloud processes that otherwise would require large budgets to be housed in our main data center. Microsoft Azure offers a robust and approachable platform to manage any task you could wish to accomplish. The ability to build and deploy servers at multiple locations around the country with the click of a mouse is invaluable. Linking virtual networks between locations is super easy as well. Microsoft has yet to make the "New" portal fully functional yet, so there are still some things that must be done in the old especially if your environment was set up there to begin with. Also, setting multiple VPN connections to all connect to one VNet requires the download and upload of the text config for the VNet. This leaves a lot of room for error and problems to develop. The big decision is whether to go with AWS or Azure. Azure is far more user friendly and much more flexible than AWS. Azure has recently allowed the setup and creation of Linux servers in their cloud, which has made most arguments against Azure moot. We have been able to move all of our premise-based servers to the Azure cloud along with our SQL DB functionality. Launching a DC in the cloud gave us the ability to eliminate all of our domain controllers on site and hook everyone to the DC in the cloud. There are a couple of things I love about azure virtual machines. There is no specific item i dislike about the product . The product has worked well for me and have also received good feedback from my friends who use it at their companies. Azure enables you to create enterprise class infrastructure and application (web and mobile) deployments in the cloud within minutes. The elastic scaling is also a really cool feature so your platform can respond to demand by spinning up new VMs as needed. The management interface can be a bit clunky, and the support could be improved but on balance it's still a fantastic platform. If Windows is your development platform, then this is probably the most logical choice. Some people question security of cloud platforms, but ask yourself this, can your organization really attract and retain as many of the world's leading security experts to harden, monitor and improve security as Microsoft? It's a pretty tall order. When looking at costs also compare replacing obsolete hardware, updates and upgrades, not to mention multiple deployments and zero down-time. I have used Azure for years as a way of hosting web applications on world-class infrastructure. Compared with on-premise, Azure delivers almost instant scale and deployment, elastic scale at a reasonable cost. "The most advanced cloud platform"
A lot of services available for users. You can create everithing from Virtual Machines to Serverless functions in several clicks. Readable documentation, good powershell module. We moved our program products from legacy hardware in datacenter to cloud, Now we don`t need to care about outdated hardware. "Microsoft Azure in the Cloud"
The ability to manage virtual servers in the cloud is the best part for us. We can also replicated our critical services there to have on stand by in case we have a critical outage on site. It is nice to know we have those for fail over purposes. If we were to have a disaster such as a long term outage or our data center gets taken out by a storm or other disaster, we can be back up and running quickly on their off site cloud infrastructure. We can also keep things synced with our software we use to make sure the Azure virtual server are up to date to a reasonable point in time so as not to have a significant difference in our data on our on site servers. Sign up for the 30-day free trial. Watch some online videos to learn and read some how to documents. We followed along with the videos and tested those things in the trial version. YouTube has a lot of good tutorials as does other sites. Disaster Recovery via replicating our servers to the cloud. Sync of Active Directory. Dir Sync to sync user accounts over to Office 365. Allowing our Office 365 users to have a self service self password reset solution. We operate a mixed environment. Exchange in house for employees and Office 365 for our students as we are a university user. "Good cloud platform service. Worth it for the functionality, not so sure about price." The on-premise backup and restoration. Disk encryption for critical apps/data. Cost. Manual setup is tedious but once spun up, environments are stable. Tip: Once you've finished manually setting up the environment, document the process and script the environment. You'll be happy you did. Our organization is working on a hybrid solution to allow us to remove in-office, legacy hardware and software solutions, out of our office. "Moved from on premise to the Azure cloud"
We started having our own servers in our datacenters a few years ago. We had several challenges, e.g. security and scaling. We now have 100% of our services running in the cloud and all these problems are gone. Especially Azure makes it easy to integrate high-end services like machine learning in any platform and this really helped us make our products better. It is sometimes complicated to find the service you want to use in the large amount of services offered by Azure. And the switch from Microsoft Account to Corporate Accounts has not worked very well, so we have to switch accounts more often as it might be necessary. We started switching from self-hosted services to cloud-hosted services. Now we use much more services offered. In addition, I can bring down the virtual machines when I did not use them which will save me time and money. 2. not enough documents. I think Azure does not have enough documents describing the architecture, the APIs etc. I thinks it is not developer friendly. "Good cloud platform, but still Microsoft"
We are using Azure to spread out our infrastructure for security purposes - not all of our eggs in one basket if you will. I like the interface, improved performance and multiple boxes can provision with various versions of OS. Mostly used for developing SharePoint solutions. I can access my vm from anywhere and any devices. Great for working as a team. "Great experience with Azure Virtual Machines"
My favorite things about Azure Virtual Machines is the helpfulness and responsiveness of the service staff. I love the expansive features and its capabilities are huge. The plans are kind of expensive, but they are worth it in the long run. I would cut the cost to have more people purchase. I am running a Cloud platform and using Azure's Software as a service package. We have eliminated the o site server. "Good solution to migrate legacy applications from on-premise"
Easy to set up and manage, per-minute charging, your VMs are not charged when turned off. Using ARM Templates or Terraform to manage infrastructure allows you to create entire cloud datacenter in couple of minutes. "Microsoft Azure - Developer's View"
The Azure development framework is very solid. There is plenty of training materials online with examples that cover all basic scenarios. All solutions are build with scaling in mind and MSDN covers this topic in detail. Azure provides a range of services, like VMs, SSaS, Machine Learning, Active Directory, etc. Microsoft constantly releases updates to all the services, so the tool set will get even richer with time. There are regular web casts conducted by Microsoft every week covering old and new Azure features. A lot of attention is dedicated to business cases review and discussion. I can see Azure very useful for companies that require solid infrastructure, that scales with the business, and without a need of ever-expanding IT department dedicated to its support. With Geo Redundancy, the infrastructure and data are much safer that in a common On Prem scenario. I had used Azure for educational purposes so far and could not find any specific downsides of it. Azure is a solid contender in the Cloud world and should definitely be considered. "Azure Management should be user friendly"
Dynamically allocating resources like memory and dashboard for monitoring the health. Configuring endpoints and Storage blob, etc. is little difficult, I feel that MSFT should have made the screens similar to enterprise products that we have like the Microsoft Management Console where ever possible. Microsoft should provide a way to create domain name and integrate with domain name providers. The web site should be more user friendly as we all come from Mictosoft backround and want to see a web version of management control where ever applicable so that the learning curve is very small when dealing with azure. I am trying to host some services and the problems like applying HTTPS certificates etc. are issues. The benefits are easy to deploy applications in the virtual environment. Startup cost for deploying an application is pretty low and extremely easy. We are trying host a webanalytics tool to monitor websites within our organization to help improve our customer experience and generate leads for our marketing team. Also improve our product documentation by analyzing how our customers are using our website. What information they are searching for and what are the top most visited pages. This whole solution also help us to demo how our web application works to our customers. "Microsoft Azure is an excellent cloud based architecture for Microsoft based IT solutions." Microsoft Azure is currently the best cloud based deployment architecture for Microsoft based solutions. Microsoft's IAAS solutions (virtual machines in the cloud) work virtually the same as on-premises Hyper-V virtual machines - in fact you can actually create a virtual machine locally, copy the VM to Azure and start it up in the Azure infrastructure. Azure is also tightly connected to Microsoft Office 365, making Azure a natural selection when extending SharePoint, OneDrive for Business, or Exchange solutions. The inclusion of Azure Active Directory with every Office 365 account, as well as the recently announced additions of Intune licenses for mobile devices - allow single-sign on capabilities to over 2000 Microsoft and non-Microsoft applications, and adds Azure based mobile device management to the stack. Azure's PAAS offerings, or cloud based tool sets used primarily by Developers to build new solutions - is a top choice for developers looking to create applications and web services based on Microsoft programming languages or platforms like Internet Information Server. PAAS offerings include over 100 individual services from SQL Databases. to Mobile Services, to Azure Active Directory. While Microsoft Azure is the best tool for Microsoft based platforms, it is not necessarily the best tool for non-Microsoft platforms and services such as Linux. We have used Microsoft Azure to quickly deploy development environments for customers, to deploy and rapidly expand production environments, and to develop robust, flexible Mobile applications. Azure is certainly the new Microsoft. Managing resources on Azure is very easy. Even a complete azure beginner (with basic cloud knowledge) will be able to get started in 10-15 mins. The cost is much more effective compared to AWS. Their instances are always reliable. Customer Service is excellent. I currently use Linux Virtual machines to deploy my apps and Blob Storage for storage needs. Experimenting with CosmosDB now. No bad experiences so far. Instead of buying and maintaining the hardware, I can now concentrate on developing the product. That's exactly what I wanted to do. Azure facilitated that. "Its an excellent service to use as PaaS. " It provides a good platform for Big Data. We can start Virtual Machine with Big Data tool (Hadoop) installed. Virtual Machines with Big Data tools starting time in quite fast. Commissioning and decommissioning node is easy. Performance degrades when requires large computations. Its not opensource and trail version length is not enough for students. Make the service more user friendly like Microsoft..
We need a platform for Big Data analytic. So we find Microsoft windows azure as a platform. Its really provide good service for Big Data. We build a Big Data platform on Azure, later we moved this platform to our Cloud. We did you experiment on Hadoop on azure. Its a very good tools for Big Data research, also its gives you idea about Cloud operation. "Easy to install and powerfull"
It has lots of OS that I could not find by other provider. Also the time for installing is very quick then easy setup. I can found some OS that never seen before like F5 BIG - load balancer. Price is quite expensive and the trial version is quite short.